Change is not easy for anyone, but anything is possible if you have a great team, like Julie does! 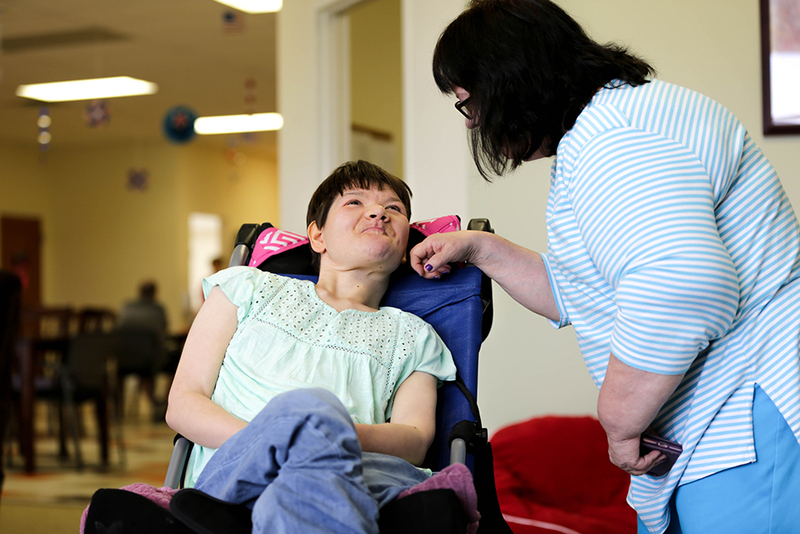 Julie, a woman with a developmental disability and is non-verbal, and her family were faced with an important decision. When they found out Summit DD would be transitioning out of services because of a federal mandate, they needed to find a new provider. 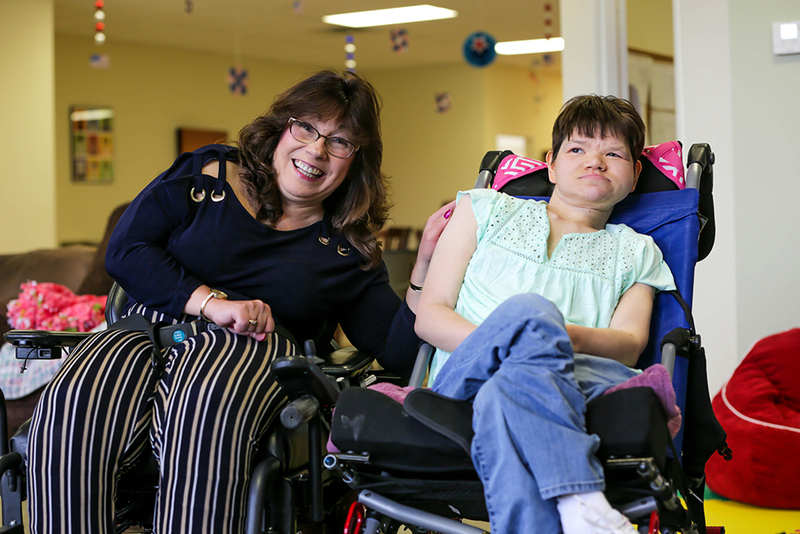 The team, built of Julie’s family, her Summit DD Service and Support Administrator (SSA) Michelle Stiles and Summit DD Navigator Kim Bauer, put together a transition plan for Julie, so she could have a smooth and successful transition. 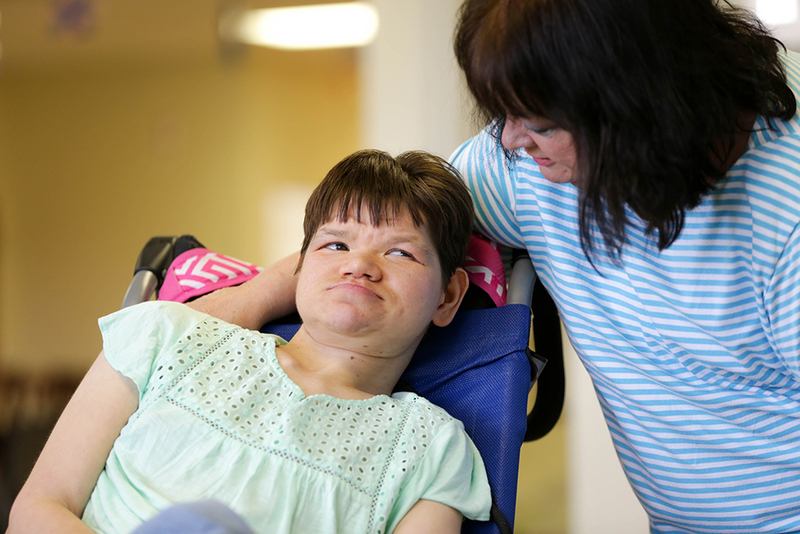 Julie slowly transitioned to Constant Companions, taking about four months to be full-time at her new day program provider. 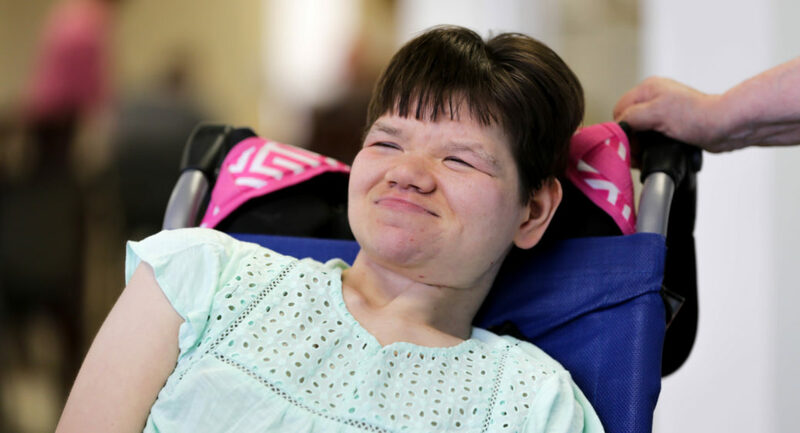 This gradual process was not only to ensure Julie would be comfortable with the staff and the new location, but also spend some time with her friends at Ellet Center before she left. Julie’s Summit DD Navigator also helped the first day to show staff at Constant Companions the best way to support Julie throughout the day with the different needs that she has. Ed LaPuh, Julie’s Dad, added that it’s been a success because everyone on the team is on the same page. 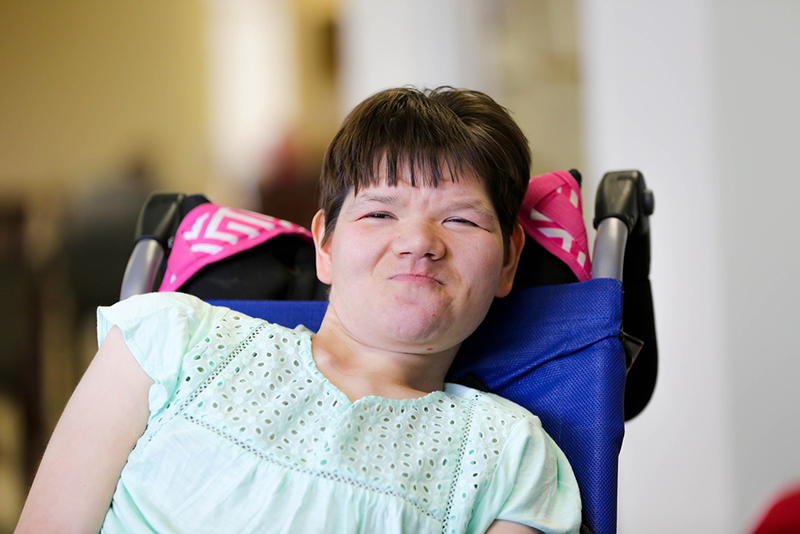 Julie’s lovable and sweet personality has helped her ease into her new program as well. She participates in engaging activities with her peers and staff at the day program as well as in the community. 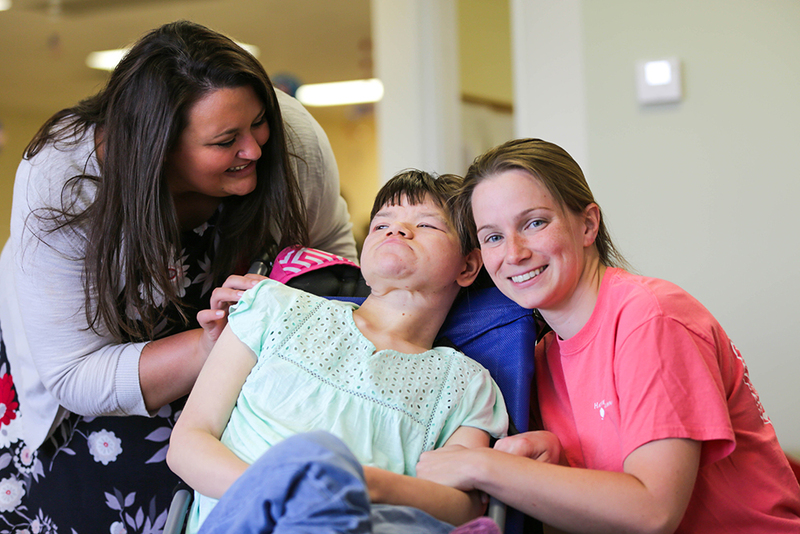 Since late 2015, almost 300 people have transitioned from Summit DD operated services to new opportunities of their choice, including 36 different day programs from a variety of private providers throughout the community. This is close to 70% of the people who were being served by Summit DD. To help the transition process, Summit DD planed several informational meetings for families impacted by the transition, created supports for families and providers, such as staff members dedicated to helping families tour facilities and explore options in the community, and remained open, transparent and committed to finding the best fit for every person and family supported by the Agency. The staff at Hattie Larlham agreed, sharing that it has been easy working with Summit DD and the SSAs during this transition, especially when people and families go through the process of choosing a new provider in the community. Constant Companions is a perfect fit for Julie. 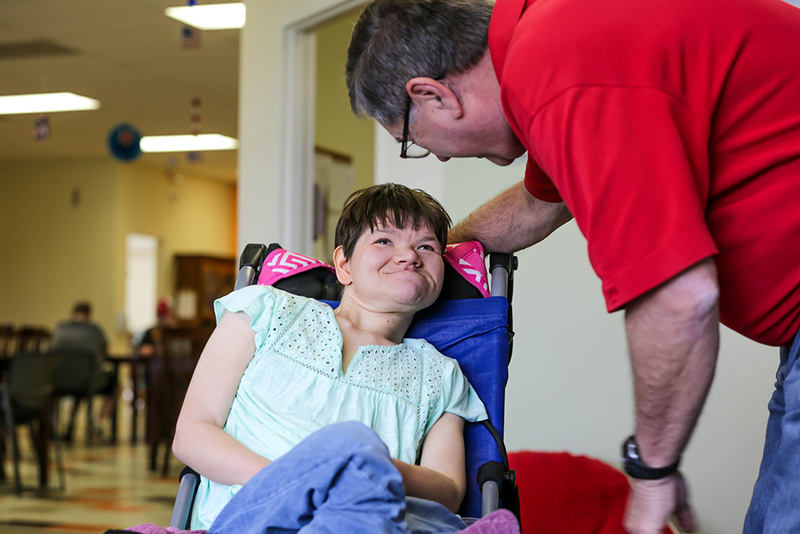 She is thriving and her cheery smile lets everyone know that she is happy, enjoys the company of her new friends and loves the staff. Interested in more? Read other success stories, like Julie’s, on our My Story page!